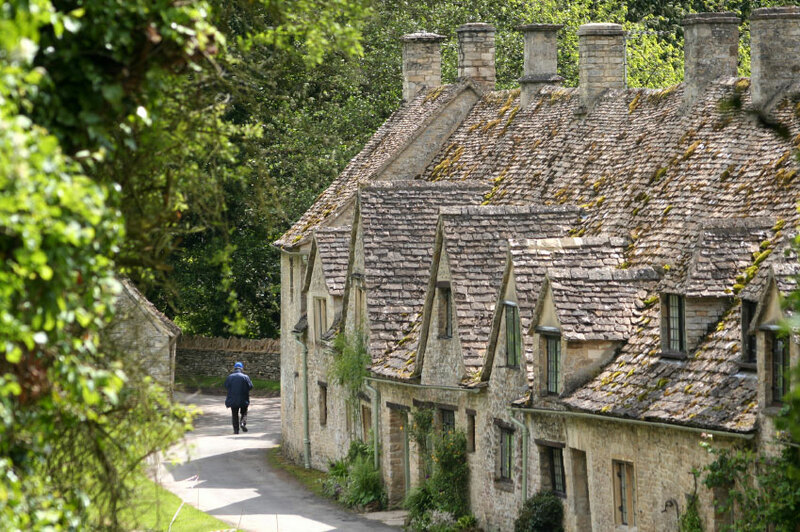 Bibury, a short drive from Cirencester, was once described by William Morris as 'the most beautiful village in England'. This picture perfect corner of the Cotswolds, set in a conservation area among wooded hills, remains a prime candidate for this title today. The River Coln, teeming with trout and inhabited by ducks, runs through what is effectively two villages, Bibury and Arlington. The river is sandwiched between the main village street and an expanse of boggy water meadow known as Rack Isle, owned and managed by the National Trust. Seasonal flooding makes this a good habitat for water-loving plants and birds and it is a protected wildfowl breeding ground. Arlington Row is also owned by the National Trust and bears testament to the history that is so much part of this village. Built in around 1380 from local stone, Arlington Row began life as a monastic wool store and was converted into a row of weavers cottages in the 17th century. The weavers would have provided de-greasing cloth for the 17th century Arlington Mill, a former corn mill that now houses a folk and agricultural museum. The museum contains photos, documents and working machinery that offer a fascinating insight into milling and the Victorian way of life. There is also a room dedicated to William Morris, a teashop, a gift shop and a herb garden. Behind Arlington Row rises the interestingly-named Awkward Hill, dotted with cottages built from the traditional warm Cotswald stone. The village of Bibury is clustered around the Church of St Mary, a Saxon church that dates back to the 8th century. Norman and Gothic additions, including 13th century stained glass, make it well worth a visit although many of the original Saxon artefacts have been removed to the British Museum and replicas put in their place. The village is home to two hotels, both of which are of historical interest. 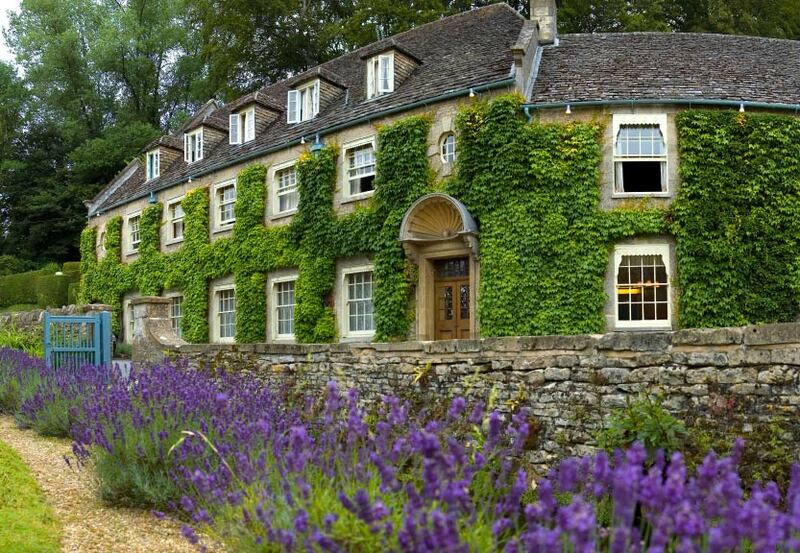 The Bibury Court Hotel, set in eight acres of grounds, dates from Tudor times, with the main part dating from 1633, while the Swan Hotel, with its log fires and gorgeously decorated lounges, was originally a 17th century coaching inn with stabling and a taproom. Today the hotel boasts top-class rooms and a restaurant. Finally, no visitor to Bibury should miss the Bibury Trout Farm, a working trout farm founded in 1902 which spawns ten million rainbow trout each year. Visitors can buy fresh or smoked trout from the farm shop or catch their own at the beginner's fishery.